Congratulations to All! Not Just GB Olympians Win Gold! When you have an eight week period in any business you expect to have a volume of enquiries that, despite dealing with professionally, do not lead to genuine fee earning business. Whether fee earning or not every enquiry made about any property and many that are made to simply to register interest must always be dealt with as courteously and promptly as possible. The last eight weeks have seen this service rewarded with the team at Elizabeth Davenport earning us our own Gold Medal from the British Property Awards! With this success we’ve now been entered into the Regional and National Event so if you don’t read a blog about them then clearly we’ve still got more work to do! So, for speed of answering calls, email enquiries, answerphone call backs, integrity of reviews, in fact with a judging criteria of 25 separate factors, this Coventry award really is quite special. Massive credit to all of our colleagues, Chris, Jan, Jo, Kate, Lauren, Nicki and Shelina for being so personable and efficient in each and every way. Having fun, enjoying your job and generally caring about what you do make the Monday blues a thing of the past. It really is a pleasure to go to work! This Award is proof that Red tape and over zealous Management are simply out of fashion and not what it takes to win a Gold Medal in 2016! Now we’ve got to retain it! 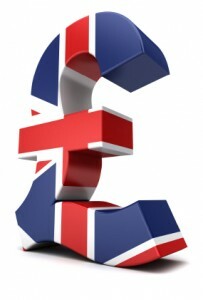 As London Property Falters Much Of The UK Bucks The Trend! When we have written about London pricing soaring and the rest of us catching up, the London marketplace may have smirked. Now, the boot seems to be on the other foot with active growth and non deterred sellers coming to the market in the majority of regions outside of the Bubble. If we take a snapshot over the last six weeks of activity we can see that the two weeks prior to the Referendum saw a like for like drop in instructions by 8% while interestingly the first two weeks post Brexit saw instructions rise by 6%. Regionally Estate Agents report that the property market continues to build momentum due to the lack of property coming onto the market. The interesting dynamic here is that prices will likely continue to rise unless the volume of instructions increase. With Mortgage rates remaining low and buyers experiencing a degree of panic that further “suitable” properties will “not” come to the market, the higher prices are being,in the majority of cases, offered. At Elizabeth Davenport we like to see what the public really feel about the price of there ideal home. Our goal is to generate as much interest as possible and not just to sell, but to find the very best buyer; have a choice if you like. This is not going to happen if you price the buyers of your property out of the equation. If the advertised price isn’t cynical the public will appreciate it and multiple buyers can be found. As I’m sure you can see, this does not occur from demanding a price above that which the property is worth. Our Sold to For Sale ratio reflects this with over 65% of our stock consistently sold. Brexit has not affected the market place in Coventry and Warwickshire because there is not enough stock for sale. Whilst the demand outweighs the supply the prices will, for many of us, remain too high for comfort. But everyone does need to live somewhere. Possibly not London though. Stocks & Shares, the Euro Sterling Exchange rate and the global financial markets have reacted as everyone either predicted or expected. What of property? Where do we stand? We haven’t fallen into the North Sea since Friday last but listening to the media we’ve done almost everything but. Property at it’s heart has always been a safe investment. We all need homes to live in whether we are lucky enough to own or to rent. The housing shortage in this country has needed addressing for a long time and the governments investment in new homes has not made a dent in this whatsoever. Supply and demand therefore suggests no immediate change to this dynamic. Families will continue to grow and first time buyers will still have a passion to own. Housing will therefore still be needed. In the short term (after a week or two of head scratching) there is every chance that sellers, worried, perhaps unnecessarily of a potential slow down, will come to the market before a slump. This will create more property for sale. Let’s say that an equivalent amount of buyers don’t buy either for the very same reason. This will create more available property for sale. This could, as the market has needed for a long time, create a cool down where a choice of homes means lower selling prices and demand and supply become equal. This, surely, would be great news for everyone. More choice and lower prices. Unlike Brexit, this suggests that everybody wins. As far as England’s Euro 2016 challenge, that would have been a nice result as well! Miles Shipside, Housing analyst and director of Rightmove, has commented upon the interesting shifts in boroughs throughout London. At the end of March, London has seen the second lowest monthly rise in the last Seven years. I say lowest monthly rise, we are still looking at growth but not to the extent we have been familiar with. The most exciting analysis of growth is directly relevant to Coventry and it’s own twists and turns. Suburbs of London and neighbouring towns with Train Station improvements have seen dramatic growth over recent months. Rochester in Kent, having spent £26 million on it’s own improved terminal, has seen a mini boom of 20% over the last year. Slough, Gillingham and Gravesend have seen very similar. A further reason for “abnormal growth” is due to the most obvious and archaic commercial adage of all time. Supply and demand. In a number of these regions the reason for such rapid growth is the lack of property coming onto the market. Coventry and a number of its most desirable areas are seeing multiple buyers for each. 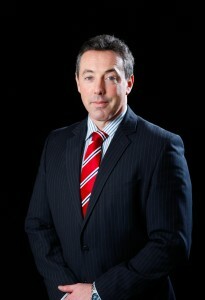 We have properties sold whose sellers are desperate for that right property to come to the market to move in to. When it does, the price they have to pay, by default, is a premium. Very interestingly, if we take this analysis at it’s most simple and if all sellers placed their houses on the market before finding another property (rather than waiting to see what properties appear before marketing), the stock levels of property would increase and the demand therefore wouldn’t be as great. In time the prices would stabilise as sellers and buyers began to match each other in number. Rather than sell high and buy high we would all be selling sensible and buying sensible. I like the sound of that. That’s how solid and sustainable growth occurs. I wonder what Mr Shipside thinks of that. Friargate, Coventry Train Station & This New Commuter City Of Ours! Well it’s really beginning to happen! Mastery of the much maligned but surprisingly safe 1960’s ring road requires a touch more forethought but otherwise FriarGate is really beginning to take shape. All being well and if politics, procrastination, budget and bloody mindedness don’t interfere the new Train Station development will see 39 sustainable new buildings, including Offices, Residential Accommodation, Hotels, Restaurants and open spaces for families to enjoy. With completion in 2018 we’ve still got awhile to go but it’s clear improvement, throughout the city, is at the forefront of minds and not simply brushed under the table as has appeared in years passed. With Coventry – London in under an hour and buyers relocating to Coventry from the Capital City, improvement and investment seems set to continue. Let’s not panic though. These buyers are not driving prices upwards like the Oligarch’s in Chelsea and Kensington. They’re a small proportion but certainly a demographic that haven’t been so familiar before. Home owners in Styvechale, Cheylesmore and Earlsdon certainly could take advantage of this affluent new wave though. Property a 10 minute walk from the Station, whatever you own, whether Apartment, Terrace or Detached, should certainly see above average growth as FriarGate continues to prosper. Together with Virgin Trains we’ve invested on Platform One & being situated on Greyfriars Green, just a stones throw from the development, we’ve already begun to see a difference. This questions gets asked of us by not just homeowners looking to sell, we also hear it from some of our own competitors in the Estate Agency Industry. 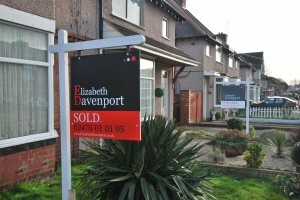 At Elizabeth Davenport we have years of experience trying and testing different formulas and know exactly what works and what doesn’t when it comes to getting a Sold board up outside a property. Quite simply, you need to generate as many viewings on the property as possible, concentrated together within a set time frame. That’s it! Not Rocket Science. Just common sense. Simple economics dictates that high demand equals high price. By contrast, low demand (low number of viewings) equals low price. “But how do I get a higher than average number of viewings?” I hear you ask. That’s easy too. Simply call Elizabeth Davenport Estate Agents on 02476 010105 and invite us to market your property with our specialised methods and we promise to get you a high demand for your home. When you decide to sell your home the net amount you walk away with will be critical to the amount you can afford to pay for your next home. This net amount is what your property sells for minus all of the costs of selling and moving. The costs of selling and moving include the estate agents fee, solicitors fees, removal costs, stamp duty, plus any mortgage redemption and set-up fees. In total these costs can typically amount to between 2 and 5% of what your home sells for. That’s a lot and so trying to keep these costs down can seem like a sensible idea. So if you hunt around and bargain hard on these fees by choosing the cheapest options you could possibly save yourself perhaps 0.5% of the sale price and on a £200,000 house that’s £1,000 in savings. Nice job. Here’s the flip side. When it comes to selling property, the difference between good marketing, skilled negotiation and professional local knowledge versus cheap marketing, call centre negotiation and a distinct lack of local knowledge, the result can be as much as a 5% reduction in the sale price of a property, sometimes more. On a £200,000 house this would be a difference of £10,000. 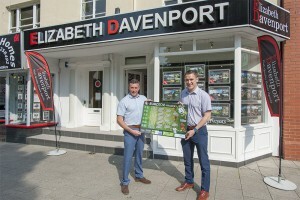 Elizabeth Davenport offer a high quality estate agency service via skilled local professionals who will fight hard to get you the maximum price for your property and could ultimately save you 10s of £thousands by getting you a better sale price. Call us today to find out more about our exceptional service and dramatic sales results. Buy To Let vs First Time Buyer, A Fair Fight or a Set Up! So what do Mr Osborne’s tax changes mean for buy-to-let investors in Coventry after 1st April 2016? Time for a heated debate? Well it would have been nice to have had one at least! “Frankly, people buying a home to let should not be squeezing out families who can’t afford a home to buy,” So George Osborne proclaimed in his Autumn Statement, before announcing major policy changes aimed at making buying property to let out less profitable to investors. Noble comments indeed but do we seriously believe that the intention is not to raise money for the treasury? Will this decision slow Buy to Let? Will first time buyers and owner occupiers have more opportunities? The reigns have been pulled taught at the coal face and beyond into the mine. To purchase an investment property or a second home the buyer will, from April 1st, have to spend 3% more in stamp duty than anybody else. This places a charge of 3% up to £125,000 where owner occupiers pay 0%. Between £125,000 and £250,000 3% is added to the existing 2%. £250,000 to £925,000 adds a further 3% to the existing 5%. Then, once rented, the landlord will also have to suffer a variety of further profit dampening changes. I’m not crying about all of this but I do think the changes are too fast and too hard. At Elizabeth Davenport we have seen a volume of buyers investing from London. This is where Mr Osbourne’s theorising hits a potential brick wall. His buy to let investors in Shoreditch, Twickenham and Croydon may well decide to look elsewhere where the expenditure is less and the short term returns equally attractive. This may free up potential “1st Time Buyer” opportunities on his doorstep but geographically the investment will just occur elsewhere. My theory is simple at best and wrong at worst. Realistically the volume of buy to let investors from outside of Coventry will grow and there will no change to the volume of first time buyer opportunities whatsoever. Thinking practically if you wish to purchase a second home or buy to let investment then move fast! Look for chain free properties or tenanted homes. Don’t quibble about a reduction of £2000. On April 2nd it will cost you a lot more than that.